'Birds of Prey' will be released in February 2020. The Harley Quinn spinoff movie - which will see Margot Robbie, 28, play the central character - has been given an official release date of February 7, 2020 by Warner Bros. and DC Entertainment. The 'Wolf of Wall Street' star - who first starred as Harley Quinn in 'Suicide Squad' - is also set to produce the movie, which is expected to feature a villain that has never before appeared on screen. According to TheWrap, Black Canary, Huntress, Cassandra Cain, and Renee Montoya will reportedly star in Harley Quinn's girl gang in the 'Birds of Prey' blockbuster. The project is being directed by Cathy Yan, who is best known for writing and directing her feature debut 'Dead Pigs'. She is set to become the third female filmmaker to join the DC universe, while she is also the first Asian woman to direct a DC film. 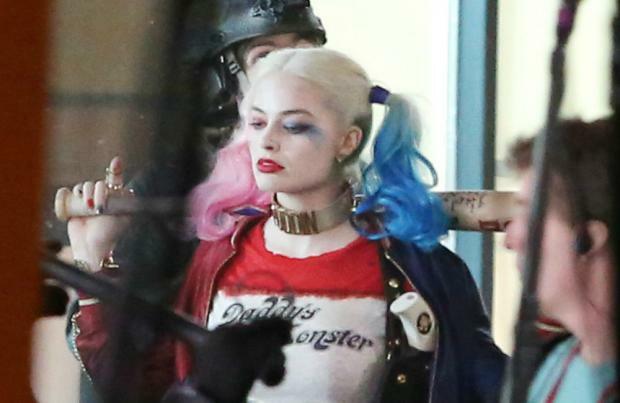 Margot first pitched the idea of a Harley Quinn spin-off film in 2015, and she's spent the last few years developing a clear idea for the project. The Australian actress previously explained: "I pitched the idea of an R-rated girl gang film including Harley, because I was like, 'Harley needs friends.' Harley loves interacting with people, so don't ever make her do a standalone film. "She's got to be with other people, it should be a girl gang. I wasn't seeing enough girl gangs on screen, especially in the action space. So that was always a big part of it."